I delved deep into his course and opened myself up to whatever insights, business ideas and epiphanies it would give me. As I did his 12 jampacked modules and some valuable bonuses, I worked on getting clear about my niche and product offerings. I practically holed myself up in my home office for a few months, racking my brains about what I wanted to offer and who my best fit clients were, given my training, skills and experiences. I was rewarded with a clearly defined niche: Work Smart, Love Smart Coaching. I use as my tagline what I stand for in life: “In work and in love, there is no need to settle.” My mission is to reinforce in smart, driven women that you can have it all, or whatever it is that your heart desires. 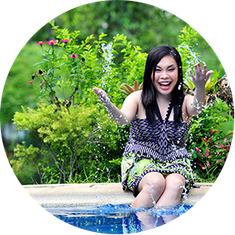 I am here to hold your hand to greater career and relationship success than you have already achieved, and to be your partner in overcoming the fears and blocks that keep you from going after and attaining your other long-held dreams. Now, aside from giving one-on-one private coaching, I have designed special Work Smart and Love Smart workshops. My Work Smart workshops are for achieving work-life balance, for imbibing effective stress and time management techniques, and for reviving vision and a sense of purpose at work. And beyond results, all Work Smart Workshops impart rejuvenation, inner peace and fulfillment as you go about attaining more career success. Meanwhile, I offer Love Smart workshops for frustrated and shy daters, for those who stop themselves from loving fully because they feel undeserving, and for those in relationship who want to keep the fire burning and experience a deeper and more joyful connection with their partner. All Love Smart workshops instill deep self-love and boundaries, which are the true foundation for healthy dating and love relationships. My Love Smart workshops and their schedule as follows: High Value Dating on 18 May, which is on confident dating to attract quality men for frustrated daters; Love Fearlessly! on 15 June, which is about embracing your deservingness for the beauty and body conscious, and comes with a fun, basic Latin Salsa and Bachata workout to instill the workshop’s lessons; and Keep It Burning on 13 July, which offers romance restoration and passion secrets for love goddesses. My Work Smart workshops and their schedule are as follows: Get a Life! on 1 June, which is on work-life balance for workaholics, plus ways to give back and change the world; Zen at Work on 29 June, which is like a pause and reboot button for stressed and frazzled careaholics; and Work Trap to Work Bliss on 27 July, which is for stepping into joy and well-being for the burnt-out and unmotivated, and comes with a fun, basic Brazilian Samba workout to drive home the workshop’s lessons. I am stoked to share all these with you. I know the frustration and pain women like me can go through where all these scenarios are concerned. I pride myself in my openness to life and new experiences, to learn from setbacks and disappointments, and especially in my ability to keep the faith that we have the power to get what we want from both work and love. We just need to continue putting ourselves out there, persevere in squeezing the juices out of life, and keep on learning our lessons that take us to the next level. If you are interested in Private One-on-One Coaching, I offer a free 60-minute strategy consultation that would introduce us to each other, get you clear about your life goals and plans, and help you decide if you wish to move forward with me as your Work Smart, Love Smart coach.  You may check out my website www.lifecoachemguevara.com for more details about my practice. If you are interested in signing up for any of the workshops, you may message me through my website, my Instagram business page (lifecoachemguevara), or my Facebook page (Life Coach Em Guevara). I can also facilitate workshops and give talks for your company and private groups; I can develop, tweak or combine my existing workshop topics to align with your team or group’s needs and preferences. In my succeeding columns, I will write about the workshops individually, and give more insights about each topic. I can assure you that each workshop is a fun and safe place for all participants to come together, and arrive at a better understanding and perspective of their work or relationship situation. I look forward to interacting with you soon!